Chairs: 6 fully cast stacking armchairs. Cream seat pads included. Armchair Width: 64cm, Depth: 61cm, Height: 88cm, Seat Height: 50cm. 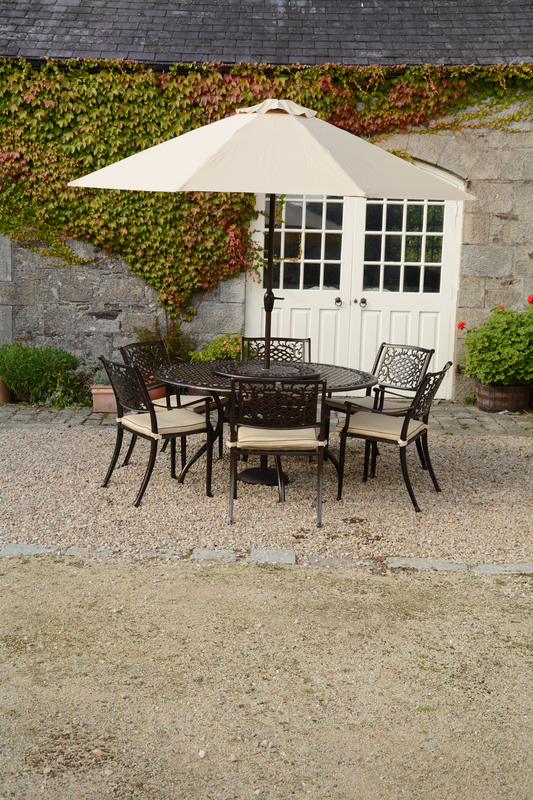 The Lyon 6 seater is our best selling cast aluminium set. 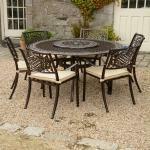 Durable, practical and stylish, it is the perfect addition to your outdoor area. 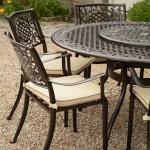 There is little to no maintenance on this set and it is completely rust free! The chairs stack making it convenient for storage and the cushion covers are machine washable. After four weeks, you will get an email reminder that the next payment of €383 is due (33% of order value). The email will contain a link to your EasyPay account. Pre-delivery Payment. After a further 4 weeks, the balance of €383 is due (balance of the order). You will receive an email reminder and a link to pay this balance. 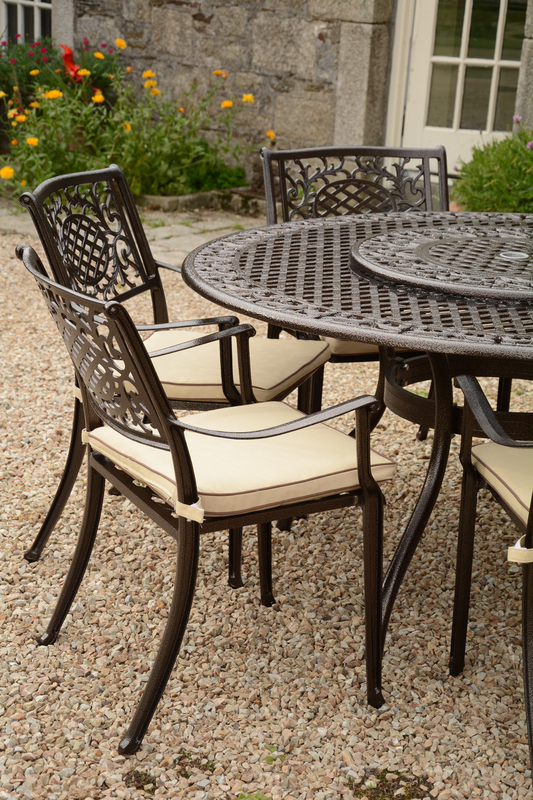 A classic look garden set in bronze with cream dressings. 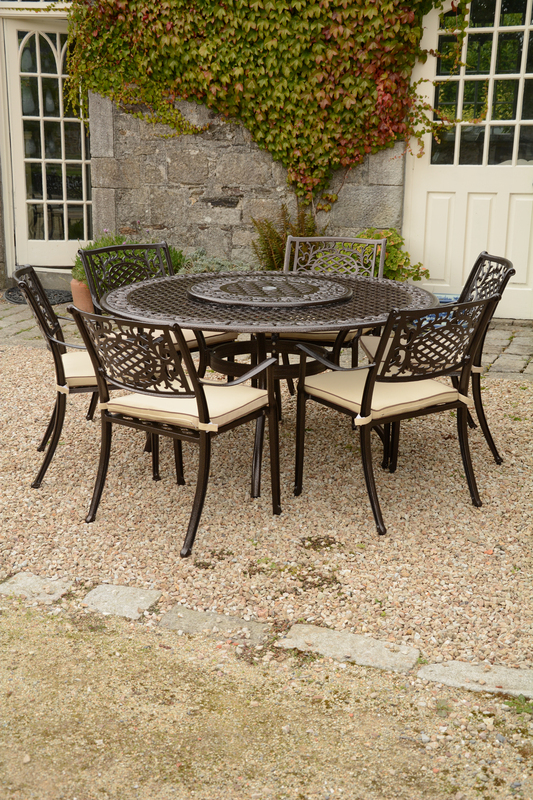 The large round garden table is practical and perfect for entertaining. The set also benefits from the lazy susan feature which makes socialising even easier. Made from 100% recycled aluminium. 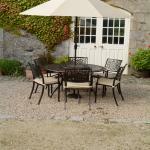 Our cast aluminium garden furniture sets are eco friendly, weatherproof, rust-free, strong and light.